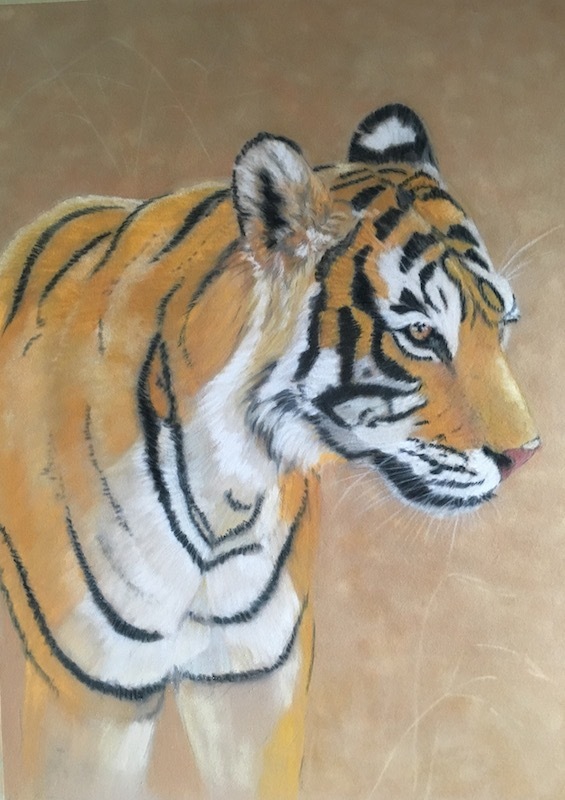 I have so enjoyed painting this fabulous male Bengal Tiger. I fell in love with him the first time I saw my friend Dr Chetan Trivedy’s photograph of him. Such a beautiful cat and so majestic. 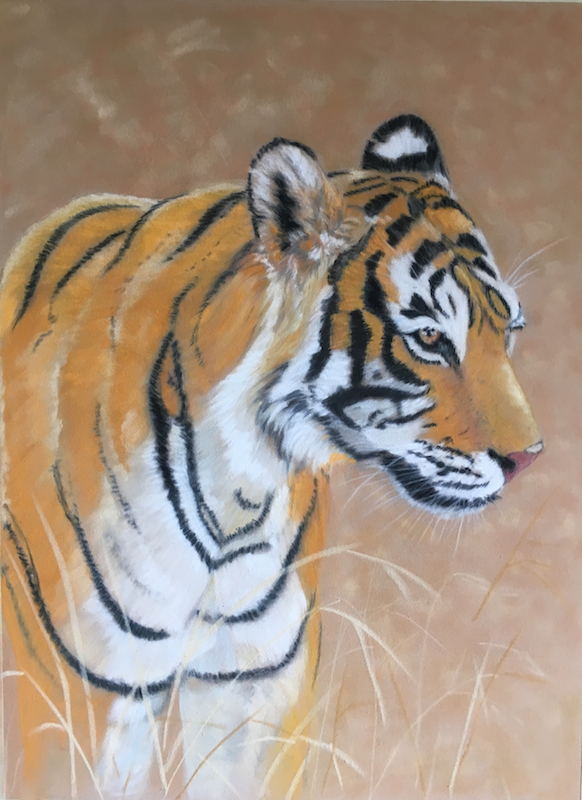 Dr Tivedy photographed him in Ranthambore National Park Sawai Madhopur Rajasthan, India and kindly gave me permission to paint T38.